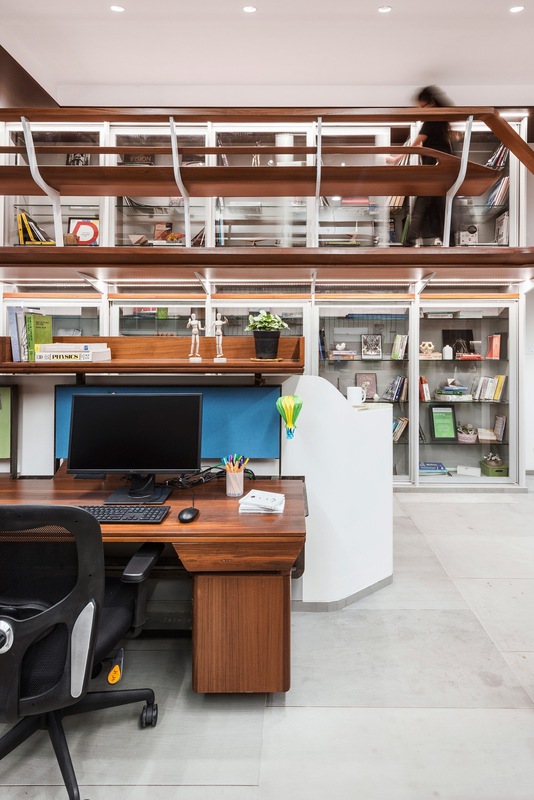 Interior Design: The Engineers' Office at Mumbai, by JDAP Design - Architecture - Planning - ArchitectureLive! 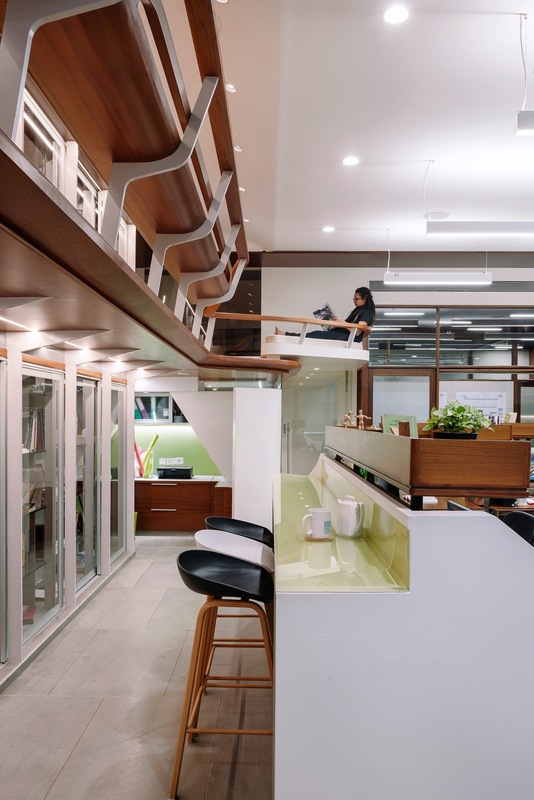 The idea that the design of a workplace can influence the culture, and help crystallise the character of an organisation has been a long-standing interest in our work within the commercial office sector. Questions on how the spirit of collaboration and engagement within a working community, a shared sense of belonging and identity may be embedded within, and expressed in the space that it inhabits, become not peripheral concerns with embellishment, but vital, formative ideas that fundamentally affect the planning, design and detailing of these spaces. 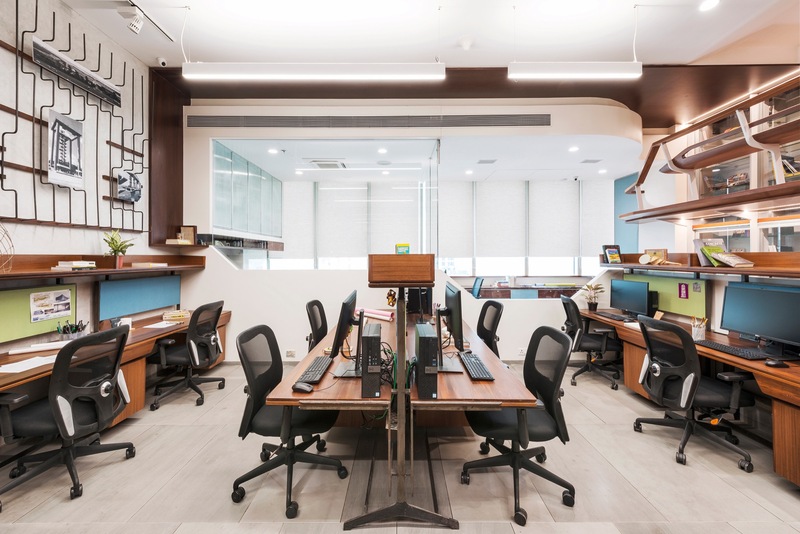 Layered densely with the pragmatic aspects of occupying a given volume within a space-strapped city, these are the ideas that give shape to The Engineers’ Office – the first workspace of a promising, creative team of structural engineers in Thane, a rapidly growing city within the Mumbai metropolitan agglomeration. 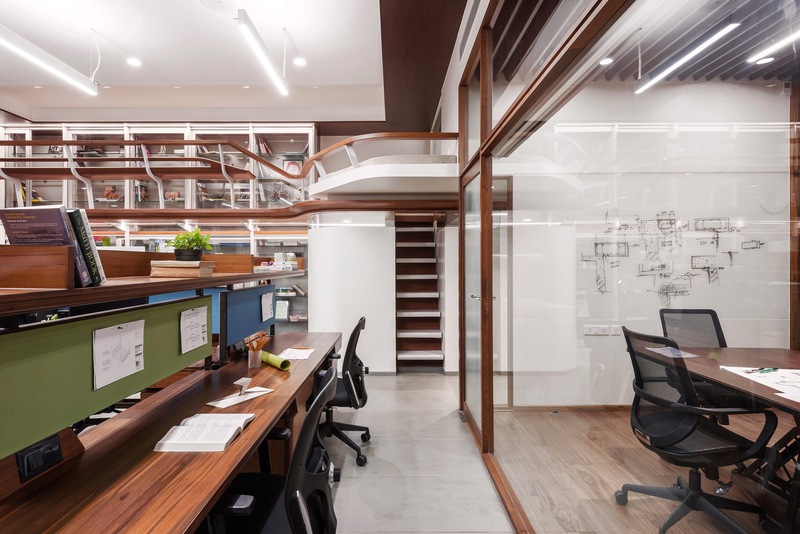 A studio environment that fosters independent thought and collaborative interaction, an open, intellectually rigorous culture within an unbound space suffuse with natural light, and a hardy, unadorned material palette with both material and formal allusions to the subject of the structural engineers’ work were the guiding principles behind the new office design. The entrance zone, the conference facility, the studio and the partners’ offices are layered in a manner as to keep the open studio at the centre as the fulcrum of the space with maximised ceiling heights and ample natural light. 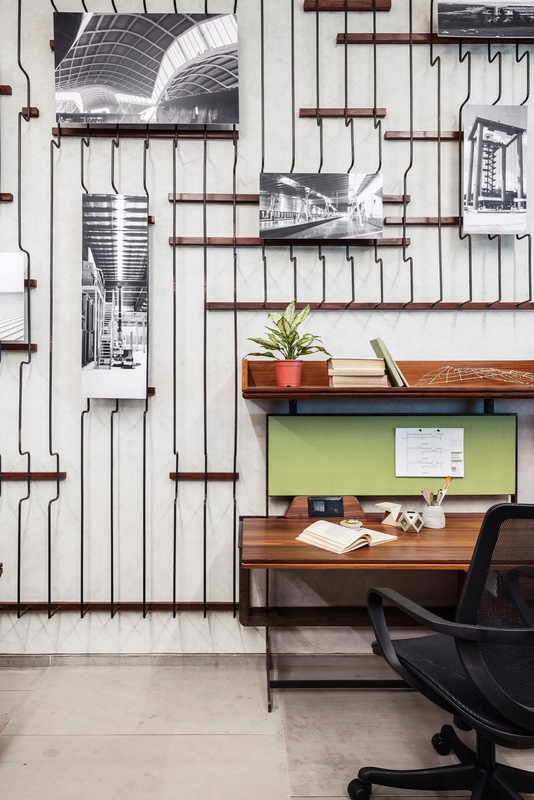 The two blank end walls of the office take on new form as a soaring library accessed by a slender timber finished mezzanine at one end, and an installation of mild-steel reinforcement rods, bent to create a set of ‘niches’ for office works to be displayed along the other. 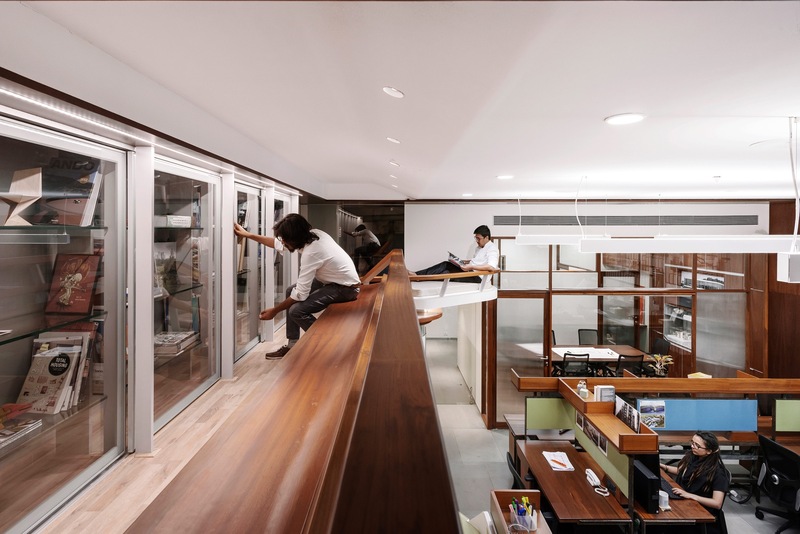 The library with its cantilevered bench and mezzanine emphasise structural notions of slenderness and thrust out multiple cantilevers that deny the most obvious conditions of support. 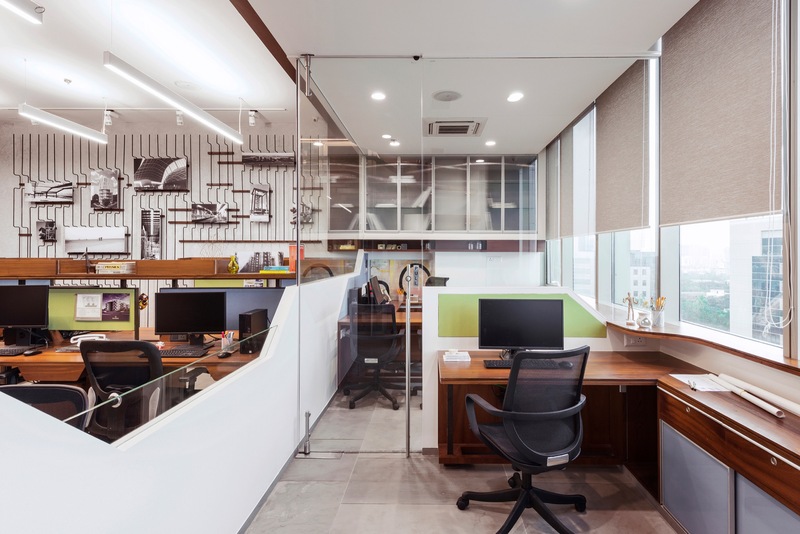 The studio layout enables workstations to be slid against each other laterally, to open up the space for group discussions and office wide interactions and presentations. Bespoke workdesks in timber and bare mild-steel recall the delicate elegance of cantilevered spans and light, ‘tip-toeing’ base conditions. Building for clients who are variously friends, collaborators, critics and occupants has had the happy consequence of the design team on this project being among the first users of the space itself for project meetings and design discussion. The true test of the space would be in its embracing and acceptance of everything that the everyday practice of the office layers over it and we look forward to the space making the practice its own as much as the practice growing to discover and cherish it over time.